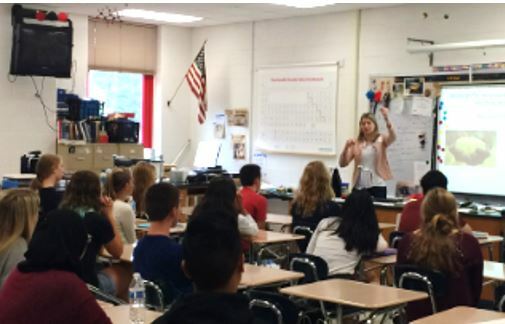 Dr. Rouge visited Joseph A Foran’s High School in Milford, CT to give a special lecture on Nanomaterials to the AP Chemistry and AP Biology classes. 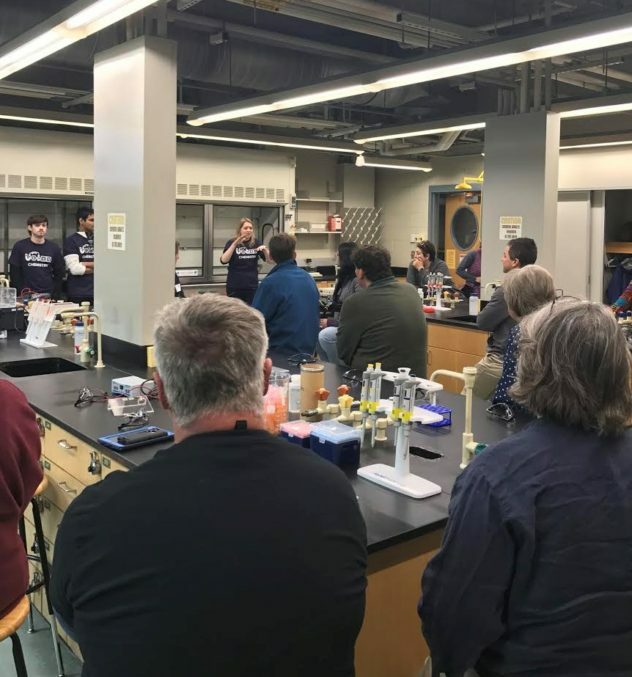 Windham High School students Maiena Kheyabani and Zaret Rodriguez present their summer research on binary aptamers to the group during their end of summer presentation. 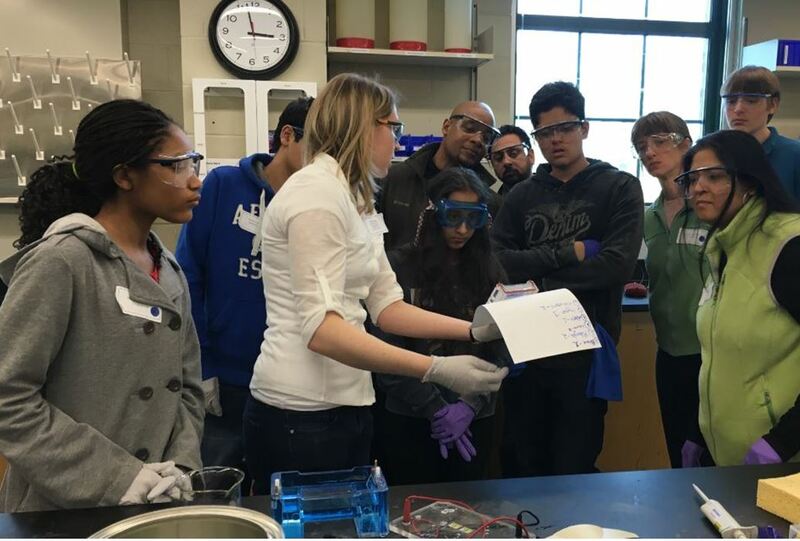 May 12th 2017 -UConn’s Early College experience (ECE) program high school teacher workshop. The Rouge group opened its doors to local high school teachers to show simple experiments using nanomaterials that can be performed in high school class room settings. 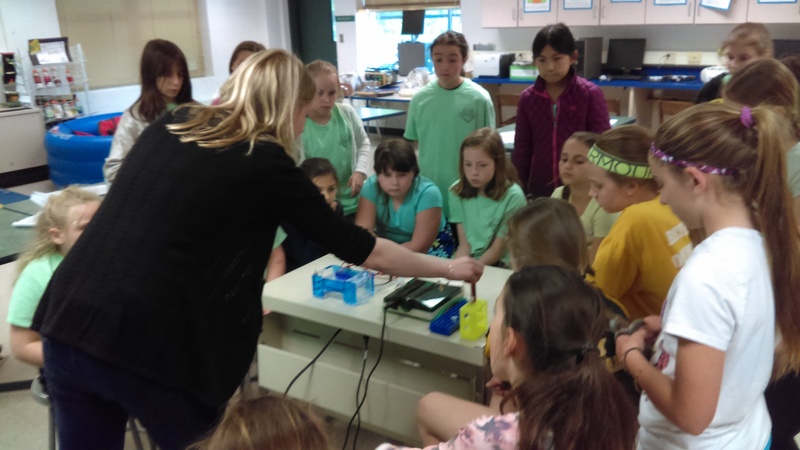 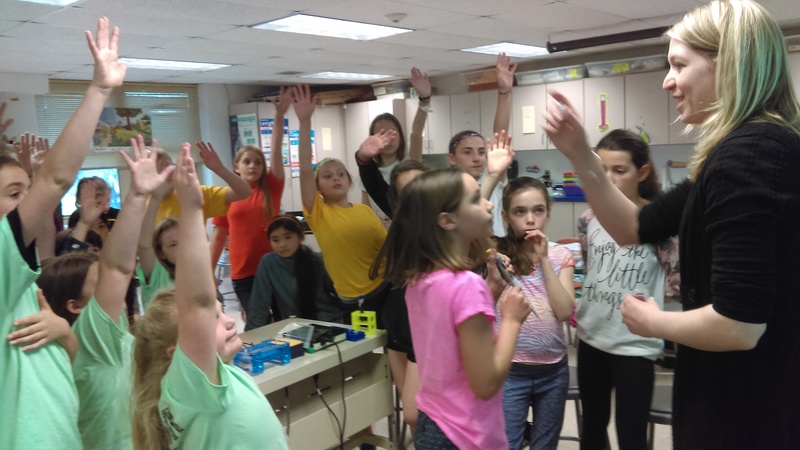 Lots of fun and learning was had at the Bethany Community School‘s GEMS program (GEMS – Girls Excelling in Math and Sciences). GEMS gives young girls the chance to see techniques in science and encourage them in STEM related fields. 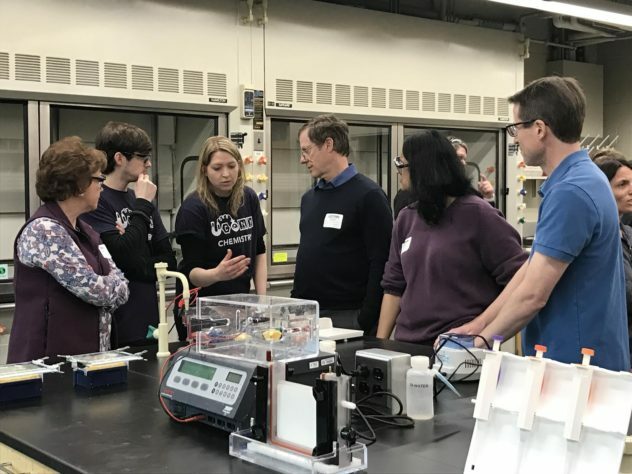 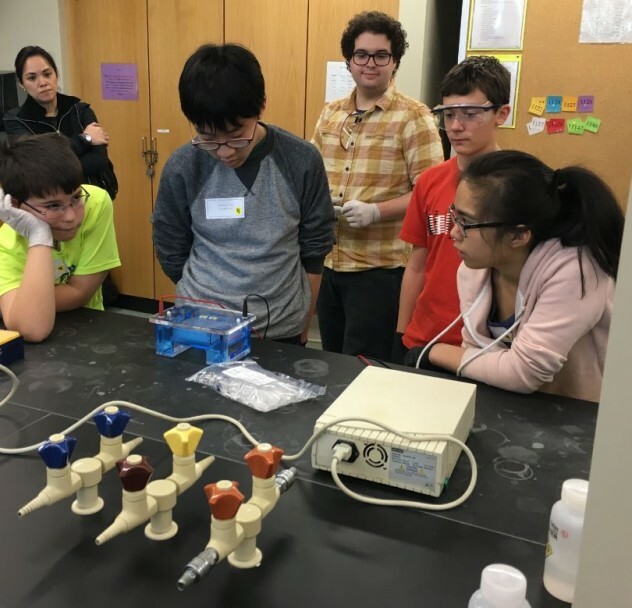 We had a great time this past weekend working with high school students participating in this year’s CTY program, hosted by UCONN’s chemistry department. 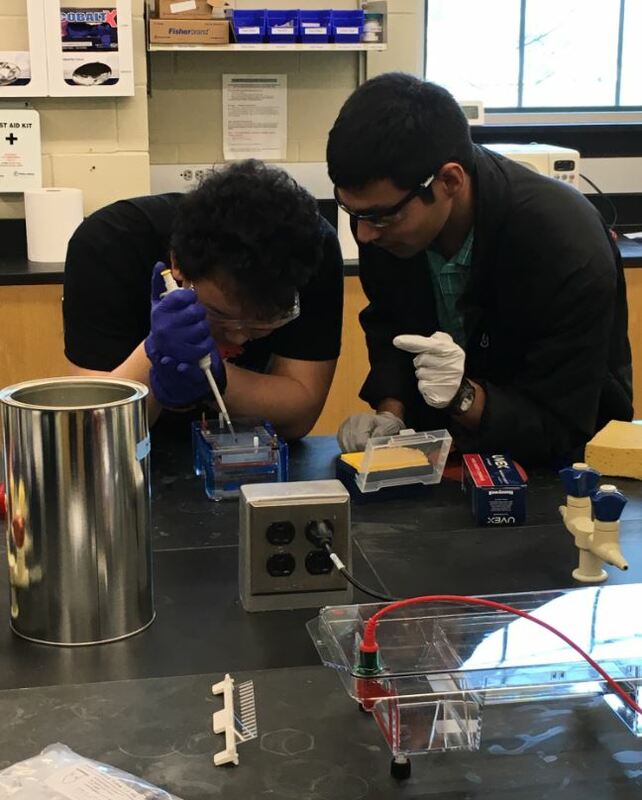 Learning how to characterize changes that occur at a nanomaterial’s surface when DNA is added.